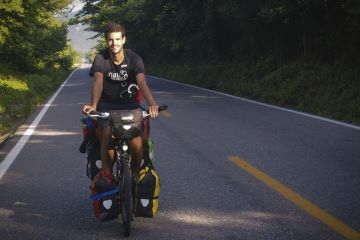 When planning your first tour on a bicycle it is very easy to go crazy about buying all sorts of bike touring gear for it. You don’t want to miss anything. We know it. We’ve also been in that situation and yes, we made the mistake of buying too many things. 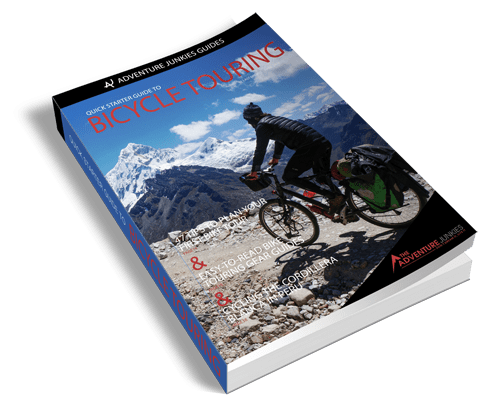 There are many great resources out there explaining every piece of gear that is useful when traveling on your bicycle but not so many about what is really important. Obviously, it will depend on your personal preferences but there is certainly some equipment that is considered essential, others things that are important to have while the last ones will make your life easier on the road. This article will explain just that. What gear you can’t forget to bring on your first bicycle tour. 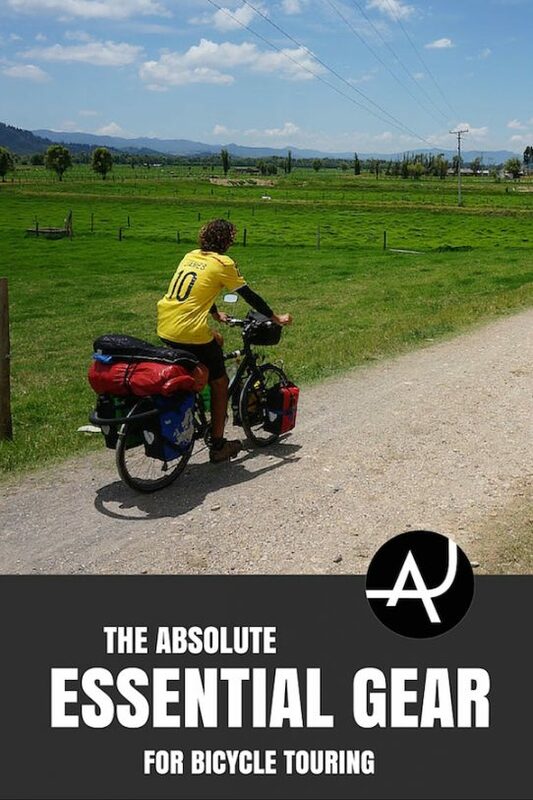 Believe or not, there are people out there cycling around the world on very cheap bikes. My friend Salva Rodríguez has been touring around the world for 9 years on a bike he bought for $300 in Namibia. So you don’t need a brand new touring bike for your first trip. But if you are thinking on a long distance tour, then it might be worth it to invest a bit more especially if you are not a very good mechanic like myself. What I do recommend is to invest in certain accessories. The most important one is, without any doubt, a good saddle. 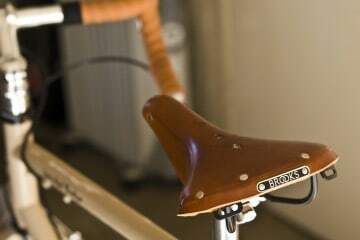 The majority of the bicycle tourers I’ve met use a leather one, which can be hard at the beginning but once you break in, the saddle adopts your shape and you won’t even feel it. I use and recommend the Brooks B17. Other important components are the bike racks. Make sure you get a steel one, so it can be easily welded in case it gets broken. I wouldn’t recommend to go very cheap here. I’ve seen people breaking brand new racks after 4-5 days of cycling. No matter what model you chose, don’t forget to pack extra screws in case you lose some due to the vibrations of the road. In some countries, it’s very difficult to find good quality ones. My personal choice is the Tubus Logo model. It’s a top of the line rack, a bit expensive, but performs really well. It hasn’t given me any problems to date, which it’s very good considering I carry over 60kg of weight on my bike. The next important items to consider are the waterproof panniers. 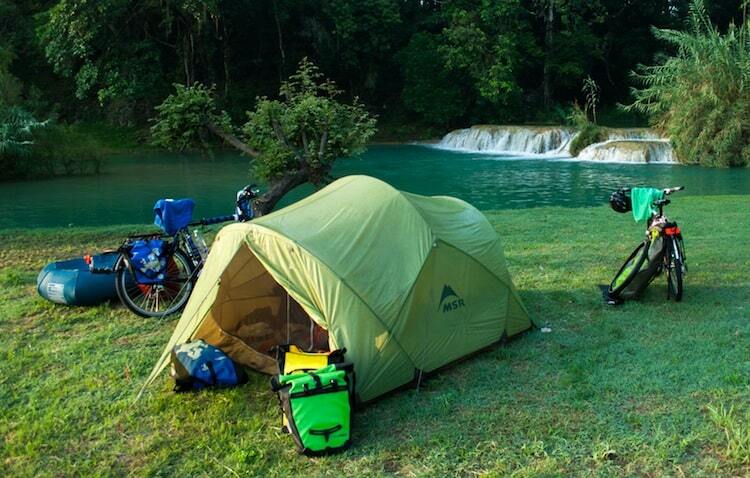 Keeping your gear dry is essential to enjoy a cycling trip. This is one of the very few things that most of the cyclists agree on the same brand. Ortlieb panniers are German made and they’ve been around for over 30 years. They are 100% waterproof, durable and affordable. Just make sure you get a repair kit and check for holes regularly. Installing a mirror on your bicycle is probably the best thing you can do to keep you safe on the road. There are many models in the market to suit your preferences and, if you don’t like it on your handlebar, you can try this model attached on your helmet or sunglasses. Depending on where you plan to go on tour the size of wheel-tyres can be important. If you are not planing to cycle in Europe, USA, Canada, Australia or New Zealand, then I strongly recommend to use the 26” size. 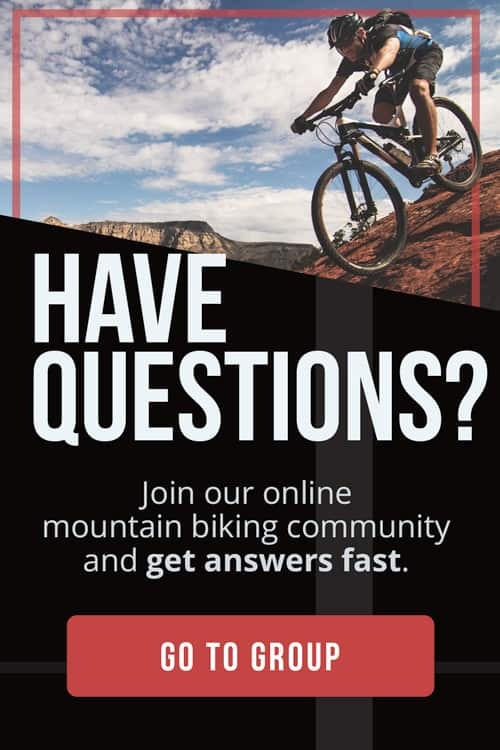 700cc tires are becoming more popular but I’ve met quite a few cyclists stuck in one place waiting for new tires to be sent from home as they cannot be found locally. 26” tires can be found almost anywhere and will make any breakdown a lot easier to solve in developing countries. You don’t need to carry a whole workshop with you when traveling by bicycle, but there are some basic tools and spare parts you should always have in your panniers. The minimum tool kit should include some Allen keys (different sizes), spanner, screwdriver, spoke tool, chain breaker (if not using master links), tire levers, patches, duct tape and scissors. 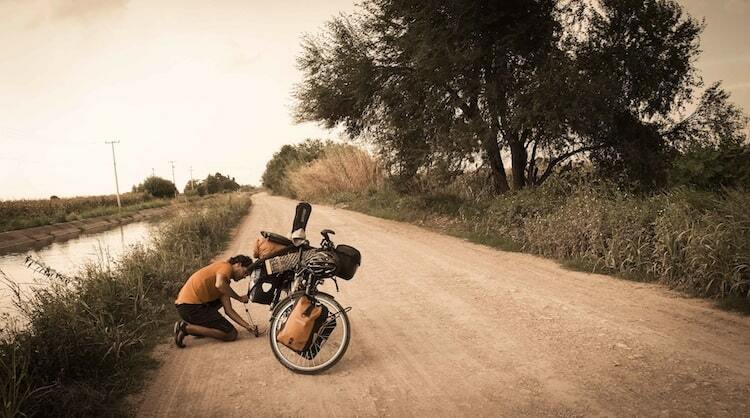 Important spare parts to have are inner tubes, spokes and a tire (only if going on a long-distance tour). Remember that in the worst case scenario you can always hitch a ride to the next town and find a mechanic there. Unless you are planning on a “credit card” tour, you will need camping gear. 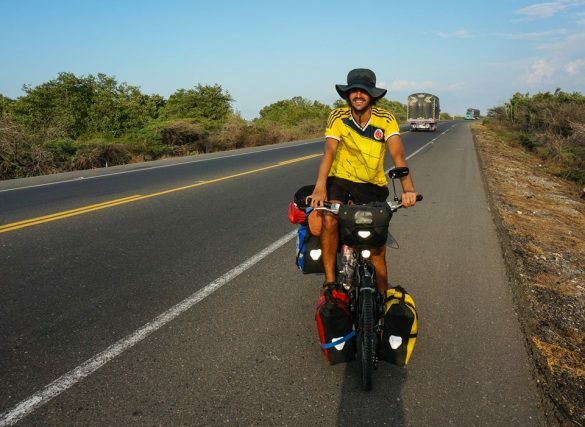 Apart from saving money, bringing your own sleeping equipment will provide you the freedom you need to explore the more remote regions, normally the best ones for bicycle touring. I strongly recommend getting a free standing tent so you don’t need the pegs to make it stand. 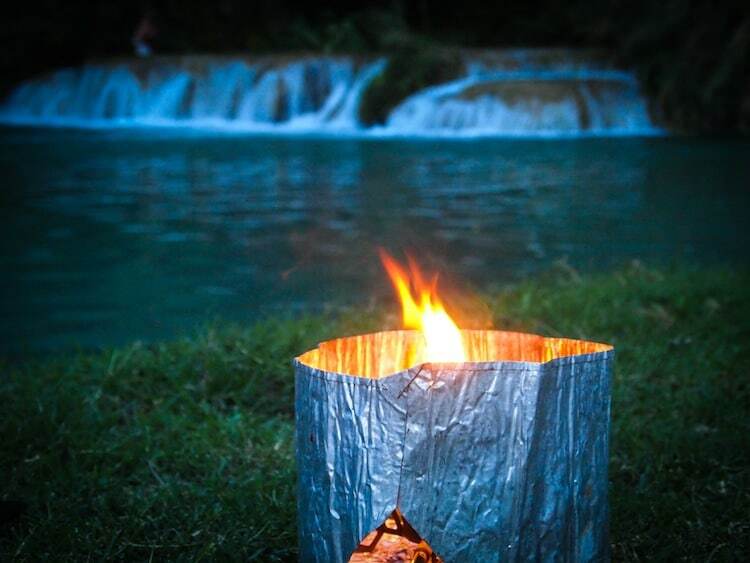 This is very useful when sleeping indoors or when setting your tent on the concrete. Being able to set your tent without the fly is also very useful, especially in the tropics where the humidity is very high and the nights are hot. If you are going to share the tent, having 2 doors is immensely useful and functional, as you don’t need to wait for the other person to get it/out or to organize your gear. Make sure you pack a repair kit. Having a tent-pole broken is one of the hardest things to fix without the proper spare parts. In our case we use the MSR Mutha Hubba tent and we love it. It’s the 3-person version so we have a bit of extra room which is very appreciated when spending long hours inside in rainy days. It’s free standing, has 2 doors, and you can set it up without the fly. It’s a great option for most of the climates except for high altitude. For more information on tents, check out our guide tents 101. You will also need a mattress to sleep on. There are many models out there to chose from, but there are mainly two types: inflatable or foam mattress. The first ones tend to be more comfortable and pack down small, but they are more expensive, heavier and less durable. The second ones are less comfortable and bulkier, but they are cheaper, lighter and very durable. We use the Thermarest Z-lite and are really happy with it. It’s a cheap foam mattress, bulky but very light, and almost indestructible. Check out sleeping pads 101 for more info. To keep yourself warm you will need to get an appropriate sleeping bag. There are also many models in the market depending on the area you plan to travel and your budget. I recommend to invest in a good sleeping bag as it’s a piece of gear that will last you for years to come. We use the Exped Lite 700, which is rated to -11º C, and keep us warm even at high altitude. Check out Sleeping Bags 101 for more info. I also find it very useful to bring a sleeping liner with you. You can use it as sleeping bag when it’s too hot or inside the sleeping bag when you are dirty after a day in the saddle and aren’t able to have a shower. It’s easier to wash a sleeping liner and keeps your sleeping bag clean. We use and recommend the Sea to Summit Silk liner. Our article sleeping liners 101 has more detailed information. To be able to cook your own meals on the road, you will need to invest in a good stove. 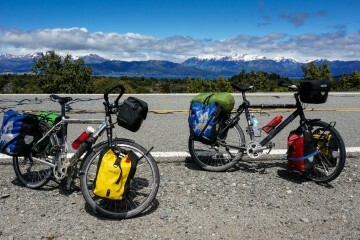 Most of the cyclists carry a multi-fuel stove that can run on propane gas, white spirits and/or petrol. The first two can be hard to find in some areas so being able to cook with petrol is highly recommended. We own the PRIMUS Omni-Lite stove. It has a few advantages over the other models as you can regulate the flame and it’s very clean, but we find it very inconsistent and have had several problems with it in the past. The most popular model among bicycle tourers is the MSR Whisperlite Universal stove. This model is cheaper, but you can’t regulate the flame and you will get your hands dirty using it. Although we don’t have experience using it, we’ve met many cyclists who are very happy with it. Check out camping stoves 101 for more information and different stove models. Choosing clothing for your bike trip is a very personal choice. Everyone has their own system that seems to work, but there are some items you need to bring. Rain Gear: rain jacket, over-pants and shoe covers. A good jacket is mandatory while the other two are optional. 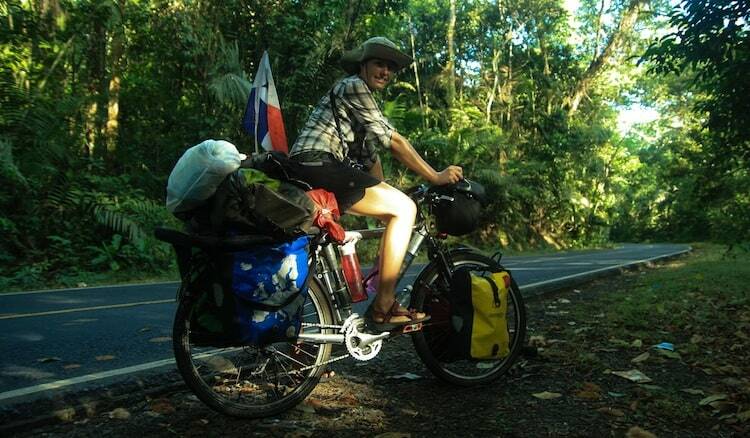 If cycling in the tropics, I prefer to put my swim shorts on rather than over pants but that’s a personal preference. Over-pants and shoe covers become more useful when raining in cold weather. This is totally up to you. I even cycle without padded shorts sometimes. I prefer to wear normal clothes rather than lycra, so I don’t look like an alien when stopping in small towns. Cold Weather Gear: beanie, arm warmers, leg warmers. If you plan to cycle in cold weather, you will need to carry some extra equipment like a beanie, arm warmers and leg warmers. 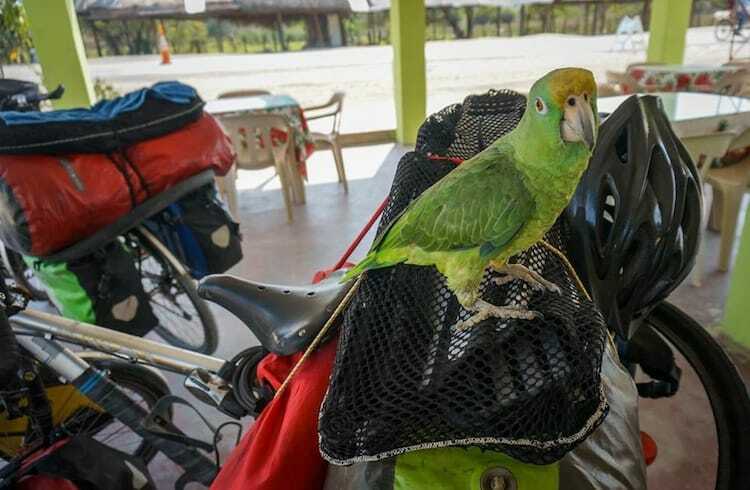 Apart from the previous essential gear, there are other pieces of equipment that, even though they are not compulsory, are highly recommended and can make your first bike trip more enjoyable. Camera: Like in any trip, you shouldn’t forget your camera to capture your experiences that will feed your memories for years to come. Torch: When camping or during a power cut (very common in some countries), a head torch will make your life much easier. Check out headlamps 101 for more info. Water Purification System: If planning to cycle on developing countries, bringing a purification system can save you a lot of money. We carry our beloved Steri-Pen Ultra (UV system), but there are other options available like water filters or purification tablets. 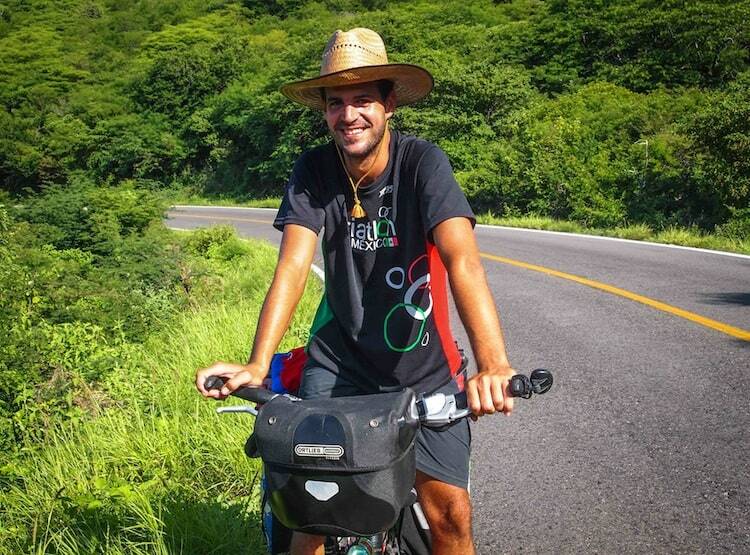 Hat: When cycling in the sun, a hat is one of the items I can’t go bicycle touring without.